The subject of this chapter is core model theory at the level where it involves iteration trees. Our toolbox includes a list of fundamental theorems that set theorists who are not necessarily core model theorists can use off the shelf in applications. It also includes a catalog of such applications. For those interested in the nuts and bolts of core model theory, we offer a guide to the monograph “The Core Model Iterability Problem” by John Steel. We also provide an outline of the paper “The covering lemma up to a Woodin cardinal” by William Mitchell, John Steel and Ernest Schimmerling. 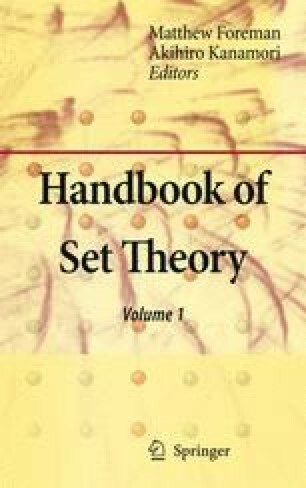 These two sections with proofs build on an initial segment of the Handbook of Set Theory chapter by John Steel, whereas the other three sections require only general knowledge of set theory. This work was supported in part by National Science Foundation Grant No. 0400467.